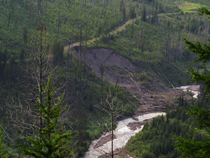 Swan View Coalition testified before a Federal Advisory Committee on May 29, 2014, detailing how “collaboration” on the Flathead National Forest is being used to marginalize the best available science and those who use it to protect fish and wildlife. Click here to read Keith Hammer’s testimony. Hammer’s testimony includes links to sources indicating the Whitefish Range Partnership intended to front-load the Flathead National Forest’s Forest Plan revision collaborative by being “first out of the chute.” His testimony and that of F.H. Stoltze Land and Lumber’s Paul McKenzie (a Partnership member) showed that the Partnership’s proposal to nearly double the lands slated for logging in the Whitefish Range was indeed applied across the Forest during the Forest-wide collaborative and involves relaxing standards for the protection of threatened grizzly bear and lynx habitat. During follow-up questions, Hammer stressed that failing to firstly apply the test of the best available science to such an expansion of logging in threatened species’ habitats sets up unrealistic expectations and increases the likelihood of litigation. McKenzie concluded collaboration should deal with social issues and leave science and other technical matters until later. 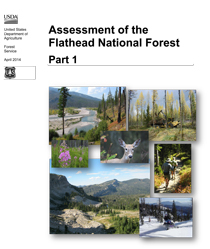 For its part, the Flathead National Forest followed a similar path in failing to produce the required Assessment of the Flathead National Forest at the outset of its Forest-wide collaboration, instead releasing the 718-page document near the end of the process. 1. Will the Flathead write a new Forest Plan that represents the will of the American public, whose laws require the use of the best available science, or will it write a Plan that hedges on those laws in order to placate local residents? 2. There is renewed vigor in the movement to turn control of federal lands over to State or local governments. To what degree is collaboration feeding this movement toward local control over Americaâ€™s public lands? 3. Under the new Planning Rule, the use of collaboration is optional, while the use of the best available science is mandatory. What recommendations could this Committee make to insure that collaboration, when used, reinforces use of the best available science rather than marginalizing those who use it to give voice to fish and wildlife?